We chanced upon this cosy cafe while window shopping at Toa Payoh Central. Situated on the quiet side of the heartland, this cafe serves quite a range of items. 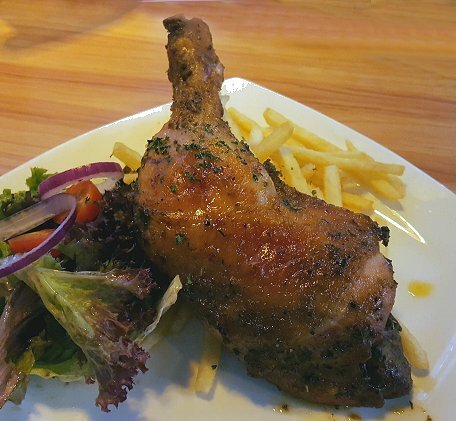 Oven Roasted BBQ Chicken ( $16.00 ) - The marinated chicken leg was tender and moist. Unlike some places where the meat turned out tough and dry, theirs was easy to cut and can be shared among friends. 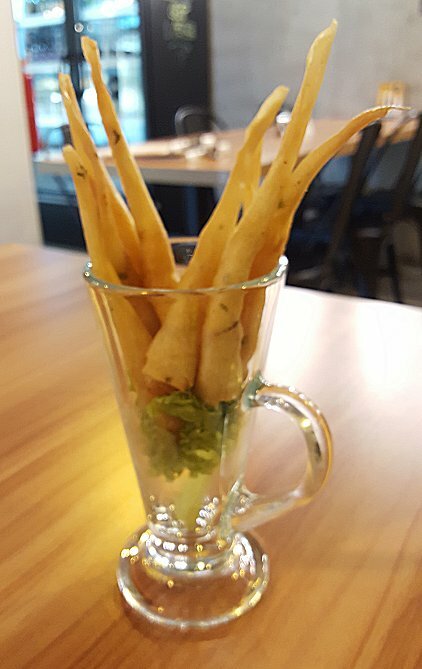 The chilled salad and generous fries was a bonus as both were served freshly. 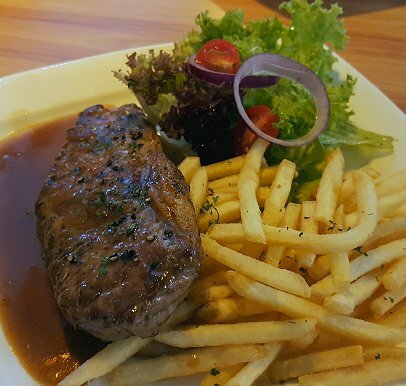 Sirloin Steak ( $19.00 ) - The meat was juicy and topped with red wine sauce, thus making this dish very flavourful. 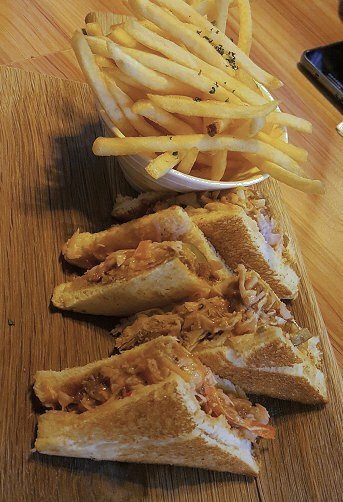 Pulled Pork Sandwich ( $16.00 ) - It was originally stated as burger but we find it difficult to share among ourselves, so we requested this item to be made into sandwich. The shredded BBQ meat was mixed with mayo and some other sauces. It has a slight taste of BBQ sauce and was indeed unique. Dowager's Fingers ( $10.00 ) - Upon first bite, we could taste the succulent prawns that were wrapped by wanton skin. When dipped into the honey sesame mayo sauce, it seem to be a good formula. 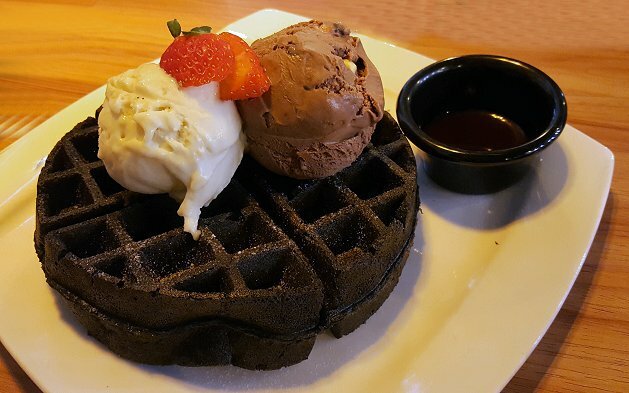 Charcoal Waffle With Double Scoop Ice Cream ( $15.00 ) - Not sure whether it is eatable charcoal but the waffle was freshly served with 2 different types of ice cream and a small bowl of chocolate sauce. We were satisfied with the food as well as the service crew. Although food may be a bit pricey (considered their location in a heartland), it comes without GST and service charge. We will definitely patronize again as we are confident that the rest of their menu will not disappoint us.